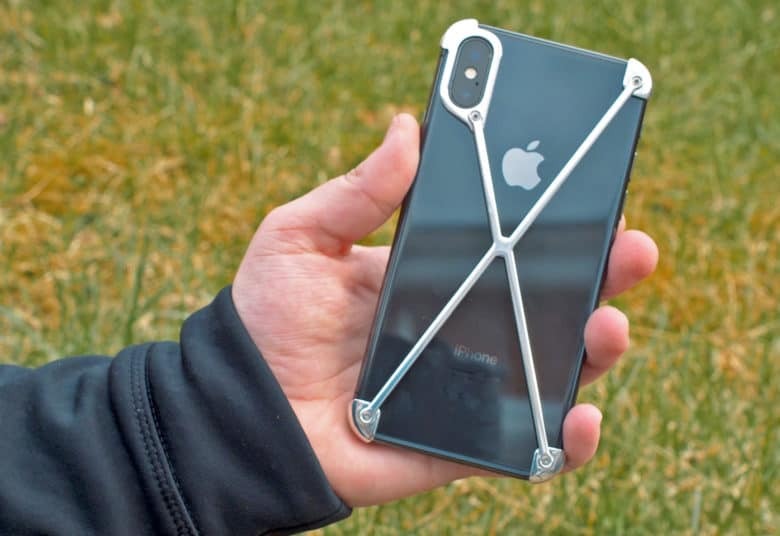 Mod-3 makes the Radius X iPhone X case out of aircraft-grade aluminum, so it’s light and super-slim. 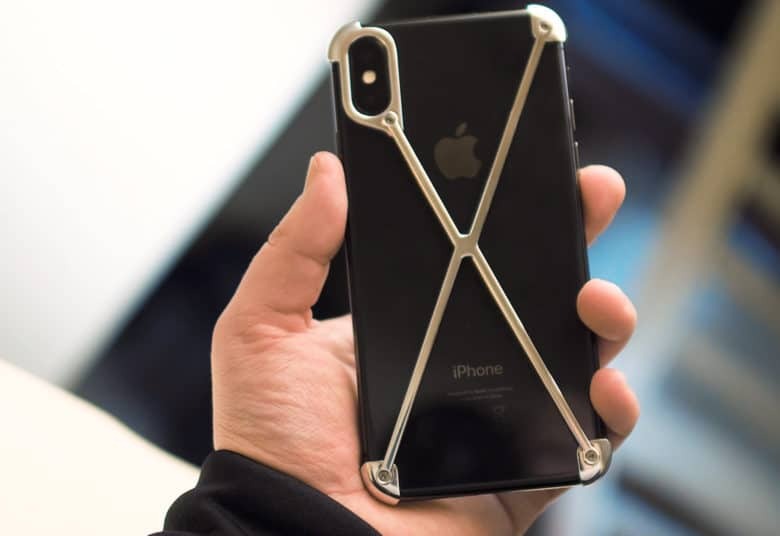 It comes in three different finishes: The general idea is to show off the original design of the iPhone X and perhaps even add to it while still offering some protection. The Radius X doesn’t just snap on and off. 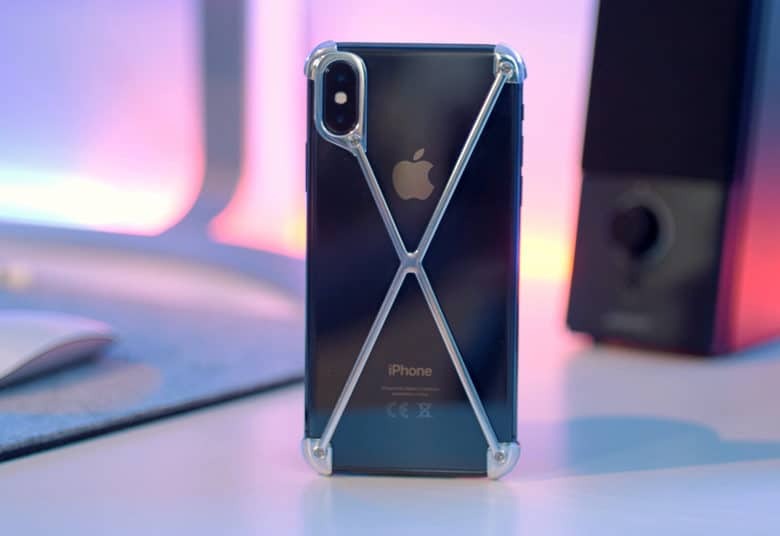 As the Radius X case is aluminum, and it covers all four corners of the iPhone X, that means it’s not flexible — and there’s a bit of installation needed. Luckily, the case comes with a little screwdriver and some spare screws. Trust me, you will lose some: I managed to lose two uninstalling the case. Initially, I worried that the case would scratch up the iPhone X. Yes, it is metal on metal, but Mod-3’s design takes measures to protect the phone. Little plastic or rubber covers on the inside of the case stop the screws from scratching the phone. And there’s tape to protect the corners. Installation was super-easy but a little fiddly. First, I had to unscrew the top two corners, slide the case on and then screw them back in. The only downside is, if you love switching out iPhone cases, you will need to unscrew the Radius X every time to get it back off. That takes three or four minutes, so if you’re a serial case-changer, this one probably isn’t for you. The Radius X’s radical design is minimalist for sure. But it’s so unique that it’s probably not for everyone. Once on, though, the Radius X offers one of the most interesting looks I’ve ever come across. It leaves the entire iPhone uncovered except for the corners and the diagonal X across the back. An extra oval of aluminum protects the camera hump. Thankfully it doesn’t obscure the flash or cause any kind of flashback when taking photos. In terms of protection, it does a good job of covering the corners and also gives the display a bit of protection if you place your phone screen-side down. A small lip on the corners keeps the screen raised up off the surface. When it comes to drop-protection, I’m not going to risk my $1,000 iPhone testing the case. But this isn’t Mod-3’s first Radius case, and the company posts plenty of drop-test videos with previous models. The unique design seems to do the job (there’s a clip in my video review above). Either way, if you’re going to use this case, you still should be extra-careful. The sides, tops and bottoms of the iPhone X remain completely exposed. In the hand, the feeling of the Radius X takes a little getting used to. It doesn’t feel bad by any means, and it does give you some extra grip. For the way I hold my iPhone — I tend to have one of the corners resting on the palm of my hand — the little notch where the Radius X’s screws stick out actually digs in a little. As mentioned, the case (or exoskeleton or whatever you’d like to call it) comes in three different finishes, including the hand-polished aluminum I reviewed. The other two are brushed aluminum and gold-plated. The two aluminum ones will retail for $99 (currently discounted to $69 if you back the Indiegogo campaign). The gold-plated version will set you back a whopping $299 (or $193 if you buy early). The Radius X stands out in a sea of average-looking iPhone X cases. Overall, it’s an interesting concept. This minimalist iPhone X case really stands out from the crowd. I don’t know if it’s a case I’d use, just because its unique look isn’t really my style. But it’s unique and well-crafted. Let me know what you think of the design in the comments down below. Mod-3 provided Cult of Mac with a review unit for this article. 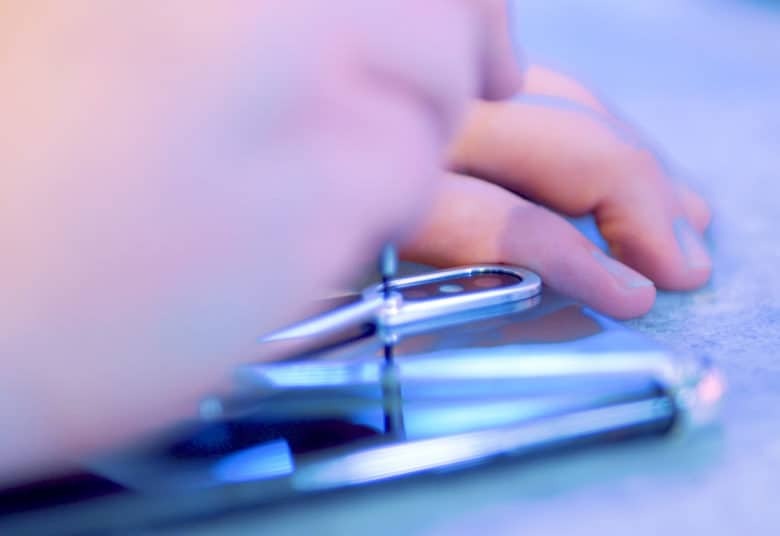 See our reviews policy, and check out more stuff we recommend.